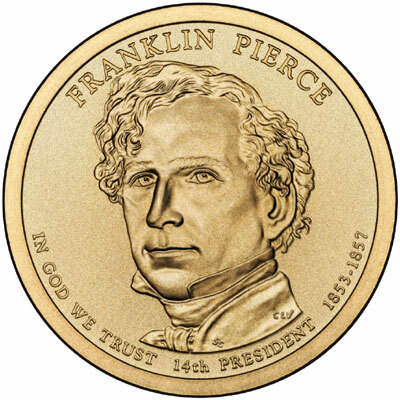 The United States Mint has released coin images for the upcoming 2010 Presidential Dollars featuring Millard Fillmore, Franklin Pierce, James Buchanan, and Abraham Lincoln. 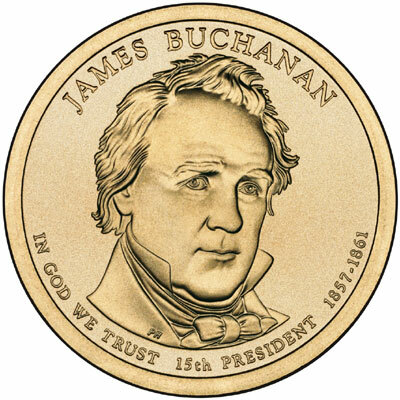 The US Mint has previously released the line art images of each of the coins. These coins will represent the thirteenth though sixteenth releases of the ongoing circulating dollar coin series created to honor the former Presidents of the United States. The images below display the obverse of each coin, which features a portrait of the President with inscriptions indicating the name, order of presidency, years of the term, and motto “In God We Trust.” The reverse design for each coin will feature a rendition of the Statue of Liberty by Don Everhart with inscriptions “United States of America” and the denomination “$1”. The date, mint mark, and motto “E Pluribus Unum” appear as incuse lettering on the edge of each coin. 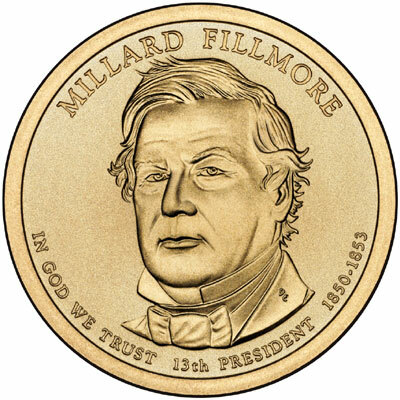 The first of this year’s Presidential Dollars honoring Millard Fillmore will be released into circulation on February 18, 2010. The week before on February 11, 2010, the United States Mint will release the 2010 Presidential Dollar Proof Set, which will contain proof versions of each of the four coins. This collectible set will be priced at $15.95. 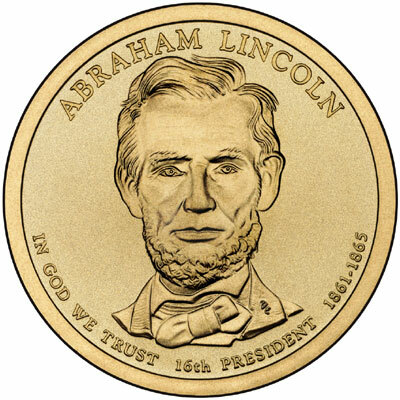 That has got to be the ugliest portrait of Lincoln ever to grace a coin. My favorite is the 1918 Illinois Centennial Commemorative. How awful does the addition of our second national motto to the obverse look? The word “God” should not appear on anything as base as money. Just think of all the sinful things money is used for! President Theodore Roosevelt thought it was sacrilegious and fought against this. Where is the outrage from all of the people of faith? The worst part of this motto is that the Supreme Court ruled it is NOT an expression of religion as it has been rendered meaningless through rote repetition! They put “In God WE Trust” on the coins just to drive out the atheists from our country. Any idea where they are going to release the lincoln dollar coin? Id like to attend that ceremony. No information available yet on a Lincoln Dollar release ceremony. At a guess, I would venture a ceremony in either Kentucky, Illinois, or Washington, DC. Please clear something up for me. It is my understanding all the proof Presidential dollars have the edge lettering in position A, readable from the obverse of the coin. All my proofs are in position B, readable from the reverse. The striking process was altered for proofs to prevent the common random reversing of edge lettering on business strikes. Is this true? Also, who or what organization might be knowledgable on Presidential dollars? I can’t find anything current that discusses anything other than the Washingtons, ‘godless’ edges and double struck edges. I have several proofs with what appears to be double struck edge lettering such as you might see from a slipping die. I also have ones that appear to have a significant crack that runs through the middle of the edge lettering. Both are difficult to see as they are all in NGC and PGCS slabs. To the comment from Jeff, actually the dollar coins are worth 5.9 cents in intrinsic metal value as of today. I don’t think the paper dollar is even worth 1 cent in intrinsic value, so at least the coin is worth it’s own weight in metal. Also it will last about 29 years longer. How much is that longevity worth? A lot more than 1 dollar I would bet. Dollar coins are a smart idea – but that probably dooms it in today’s society.